Dreese Lab, Ohio State University, Columbus, Ohio, USA. Garden of Constants at the College of Engineering includes a black walkway, connecting the buildings. 50 individual formulas are cast in bronze and embedded in handmade pavers. 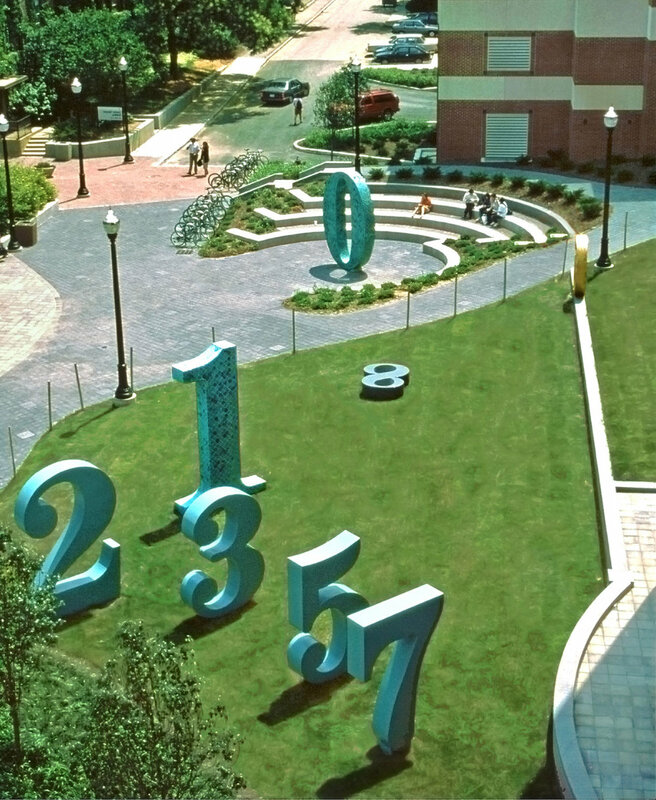 The formulas highlight the activities performed in the four buildings surrounding the courtyard, emphasizing the theme of constant numbers. Subcontractor/Fabricator: Ohio Precast, Artist, Mt. Vernon Machine & Tool, Inc. Commissioned by: Ohio State University Percent for the Arts.